With its title meaning Departure or Migration, GAMAN is about the life in metro cities and how they transform a human into just a number or a name in a scary uncaring manner. It’s the story of a person coming to Bombay (now Mumbai) in search of work and living, but finding it extremely tough to adjust into the alien world of mean people, betrayals and all unexpected paradoxes in the new fast paced life. It presents the chaotic life of a metro city and the way it deals with humans or humanity far away from the simple, innocent life in the rural villages. With all flawless performances from Farooq Sheikh, Smita Patil, Jalal Agha, Gita Siddharth, Sulabha Deshpande, Protima Bedi, Nana Patekar and Satish Shah, GAMAN paints a very authentic picture of Bombay (of those times) exploring the details as seen through the eyes of newly migrated taxi driver, who finds difficult to understand both the rich and the poor hiring his local services. 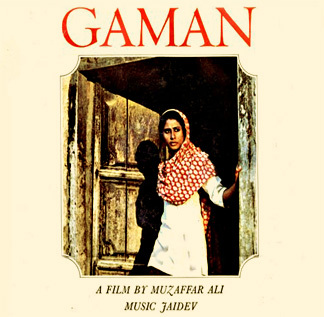 An outstanding debut attempt by director Muzaffar Ali (who later came up with a much polished gem UMRAO JAAN), GAMAN brought forward an issue, which ironically still remains an equally burning one even after four decades of its release in the late 70s. Just like a thoughtful revolutionary poem, it bravely talks about the problem but doesn’t have any solution to give for the same, which anyway isn’t the job of the poets, writers, directors or the creative fraternity. Their responsible job is to bravely expose the society with its relevant issues and GAMAN does it well in a realistic as well as a highly relatable manner. Having said that, the film still gives you a feeling of something left, something that could have been said more effectively in the end with perhaps another couple of minutes focusing on the new, changed protagonist still choosing to live and face the city post all the unexpected tragedies. But then, that doesn’t reduce its overall impact on the viewers, leaving them with a lot to think about their own lives in the metros and the uncertain future. Apart from a directorial debut, GAMAN is also the debut film of Nana Patekar as well as the first film of Hariharan as playback singer in Hindi cinema. And what actually takes it to another level altogether is its exceptional soundtrack with melodious compositions by JAIDEV and mesmerizing poetic expressions by both Shahryar and Makhdoom. As a matter of fact, it would be difficult to find a Hindi film music lover not having its entire soundtrack in his proud collection including sheer gems as “Seene Mein Jalan Ankhon Mein Toofan Sa Kyon Hai” by Suresh Wadkar, “Ajeeb Saneha Mujh Par Guzar Gaya Yaaron” by Hariharan, “Raat Bhar Aap Ki Yaad Aati Rahi” by Chhaya Ganguly and “Ras Ke Bhare Torey Nain” by Hira Devi Mishra. Interestingly where the male songs represent the messed life of city and the suffocating state of their protagonists, the female songs perfectly paint the lonely picture of the wives waiting back in the villages and the last shot of Smita coming forward to the door and then closing it with a heavy heart ….. sums it all so beautifully. Both Jaidev and Chhaya Ganguly won National Awards for Best Music Director and Best Playback Singer for their mesmerizing gems and the film too received the Special Jury Award for the year 1978. So if you haven’t seen it yet, then watch it at the earliest and just try to visualize how films were being conceptualized by the masters, in that transforming era of Hindi cinema beginning from the late 60s. Finally! 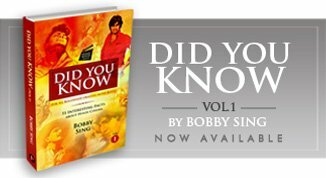 This was long due Bobby Ji! I do remember asking you to review this movie over two years ago. Thanks for reading and writing in Rajnish. Am trying to post on many of the pending movies. Lets see how much I can do it in the coming days.